An aggressive TV ad campaign from Verizon Wireless is adding to the support building for a software package from Google Inc. that is shaping up to be the most formidable challenge yet to Apple Inc.’s iPhone. It’s not the first ad from a wireless carrier to take aim at the iPhone’s weaknesses. 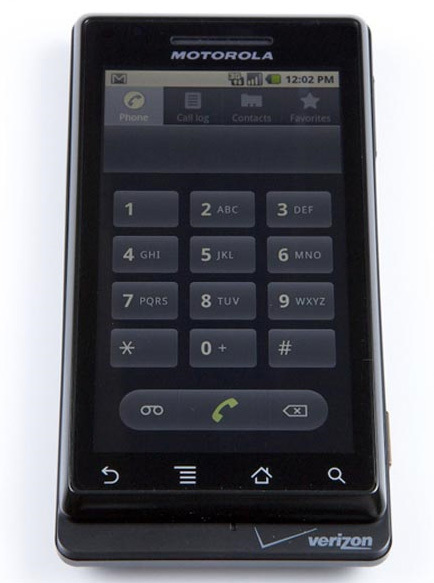 Notably, Sprint Nextel Corp.’s ads for the Samsung Instinct and the Palm Pre have compared these devices to the iPhone. But the Verizon ads come at a sensitive time for the iPhone, as user frustration with the network of the sole U.S. iPhone carrier, AT&T Inc., is growing. Verizon Wireless gets high marks for its network quality, but it has lacked a “smart” phone that can match the iPhone’s ease of use and breadth of third-party applications. The touch-screen BlackBerry Storm, which launched last year, is the closest Verizon has come, but the first Storm got lukewarm reviews and was plagued by software problems. The Droid will run Google’s Android software, which is gathering momentum as a platform for a range of manufacturers, in contrast to the Apple-only model of the iPhone. T-Mobile USA and Sprint already have Android phones. With Verizon, the largest U.S. carrier, now on board, the free software package becomes more attractive to software developers who want to reach the widest possible audience for their applications. A wealth of applications, in turn, helps attract customers to a phone. The ads don’t show the phone or reveal a price or a launch date more specific than “November.” But the home page for the ad campaign, www.droiddoes.com, sends viewers to another site that has “Motorola” in the address. And two weeks ago Verizon Wireless CEO Lowell McAdam posed for an Associated Press photographer with an Android phone carrying the Motorola and Verizon brands. McAdam said at the event that Verizon Wireless was putting “substantial resources” into developing and selling Android phones — an unusual initiative for a carrier that has previously relied mainly on manufacturers to supply it with competitive devices. 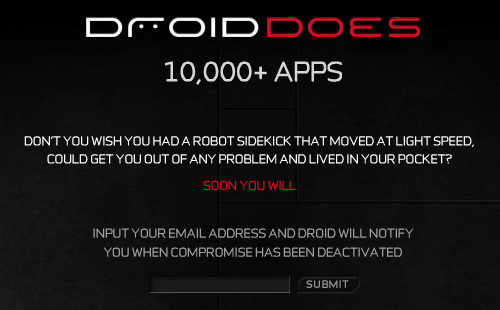 It’s not clear how much Verizon is spending on the Droid ad campaign, however. The campaign is an important endorsement for Motorola, which started using the Android software as part of a turnaround effort. The cell phone maker is struggling to recover from a multiyear drop in sales. Motorola started selling its first Android phone, the Cliq, on Monday through T-Mobile USA. Motorola has previously made smart phones using Microsoft Corp.’s Windows Mobile software, but these haven’t been big sellers. Motorola shares rose 62 cents, or 7.9 percent, to $8.47 in Monday afternoon trading. Shares of Verizon Communications Inc., which owns Verizon Wireless along with Vodafone Group PLC of Britain, were unchanged at $28.90. The heavy anti-iPhone message of the ads shouldn’t be taken as a sign that Verizon Wireless won’t eventually carry the iPhone. Having a viable alternative to the iPhone could strengthen Verizon’s hand in negotiations with Apple. The terms of the exclusivity agreement between Apple and AT&T are secret, but there has been speculation that it could end next year. However, the current version of the iPhone doesn’t work fully on any national U.S. network expect AT&T’s, so Apple would need to produce new versions of the phone for Verizon, T-Mobile or Sprint. Sticking to one carrier doesn’t appear to be Apple’s long-term goal. In several countries, there are multiple iPhone carriers. Canada will soon have three, for example.